Guidance and directions for your touring convenience around Macau. 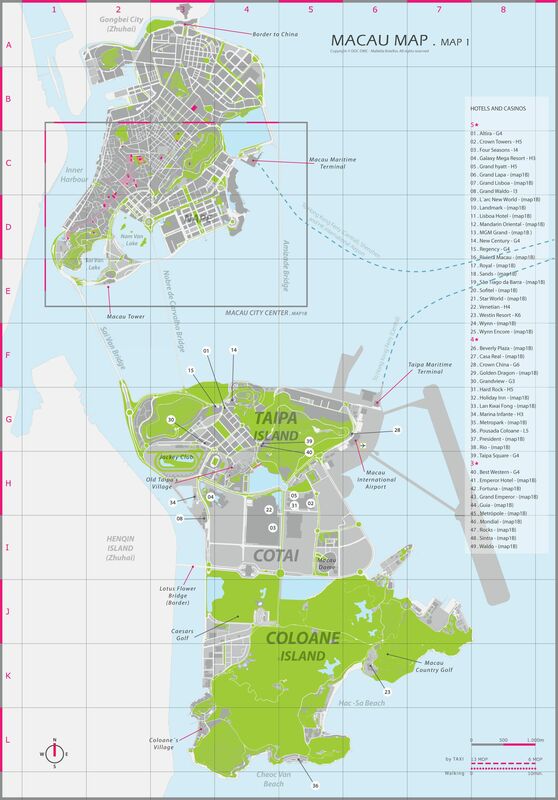 Macau SAR (Special Administrative Region) map including the Cotai area and the Islands of Taipa and Coloane. 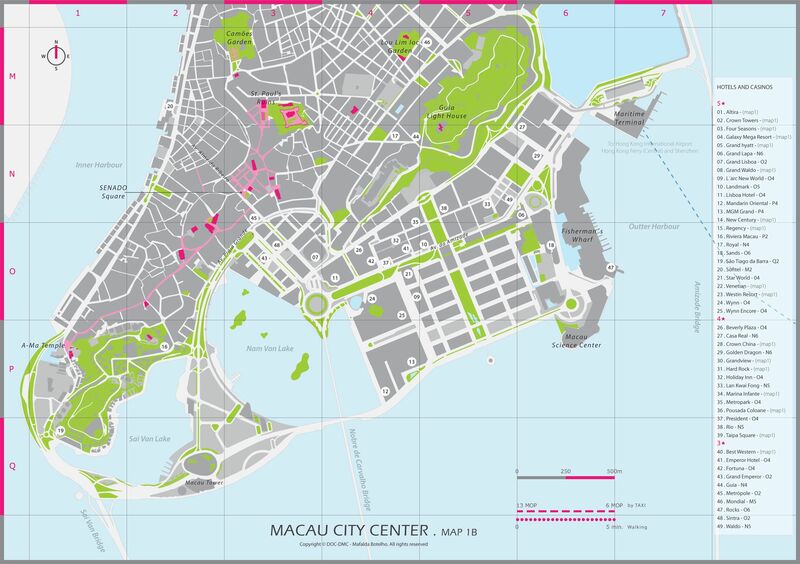 Macau city center map covers the old part of town and all the hotels and casinos from the Macau Ferry Terminal to the A Ma Temple. Lists hotels, convention centers, major attractions in a simple way. Map that covers Hong Kong SAR, Macau SAR and the neighboring municipalities of the Guangdong Province from Shenzhen and Zhuhai to Guangzhou. 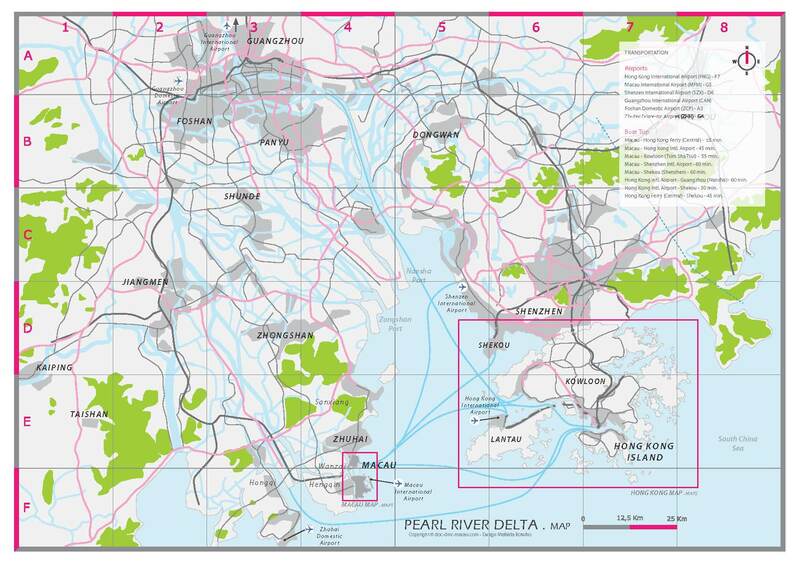 Highlights the means of transportation such as ferries, airports, trains and highways.